Taxes may be complicated but life shouldn’t be. Our team of tax specialists are here to answer your personal tax concerns and provide you the calm assurance that you have experts on your side. If you owe back taxes, the IRS can file a levy to legally seize your property and assets to satisfy your debt. Once a levy is issued, you must take quick action if you want to have a chance of reversing the IRS action. And this is not possible in all cases. Tax levies are different from tax liens. A lien is a legal claim against your property to secure payment of your tax debt, while a levy actually takes the property to satisfy the debt. When taxpayers think of levy, wage garnishment and bank levy are typically the two most common things that come to mind. I had rental properties that had been vacant for some time and decided I wanted to sell. The problem was, I owed more than what the propertyies were worth and needed to enter into a Short Sale but the IRS had a lien which was creating a problem with the title company to close on the sale. Victoria and the team were able to prepare paperwork and have the IRS remove the lien from the rental property in short sale and agree to not receive any funds so that the closing could happen and I could no longer be responsible for the mortgage payment. This in turn allowed me to start making payments to the IRS on my back taxes. My title agent was so impressed with how quickly the process was dealt with once bringing True Resolve on board that they asked for an introduction for their other clients as well. I worked with True Resolve to get the IRS to stop levying me and set up a payment plan. I had been trying to do this on my own for several months when they came in and had my case taken care of in less than 60 days. Highly recommend them if you are in tax trouble. The IRS was levying my bank account constantly before hiring True Resolve. They were able to not only get this stopped, but get the most recent one returned to me so I could pay bills. This was a huge help to me and I am very thankful they were able to do that. If the IRS is taking money out of your account, these are the people that can help you. A bank levy is essentially the freezing of the funds in your bank account at the time the levy is processed by the bank. A bank levy does not capture all the funds going into that account indefinitely. Once the funds are frozen the bank holds the money in escrow essentially for a period of 21 days before sending the funds to the IRS. During this 21-day period, you have an opportunity to resolve your account in another manner and have the bank funds returned to your account for available use. Once money has been sent to the IRS, your chances of getting it back reduce significantly. Wage garnishments and how quickly they are processed depend on your employer and the frequency of your pay schedule. Typically, you will see these going into effect no later than two pay periods following receipt of notice by your employer. A wage garnishment can legally leave you taking home as little as $862 a month after the garnishment comes out. If your employer receives a wage garnishment from the IRS, they should provide you with a form to fill out showing the exemptions you claim when filing your tax return to determine what amount of your wages is exempt from garnishment. A wage garnishment is ongoing until the IRS issues a release to your employer. In order to obtain a release if you are not paying the tax you owe in full, you must set up a payment plan or establish a hardship with the IRS. If you receive Social Security income, the IRS can garnish 15 percent if it is your only income and up to 85 percent if you have other income sources. A levy can also include the seizure of your assets, including your retirement accounts, state and federal income tax returns and stock accounts, and property, such as your home, car or boat. The IRS will never levy you without notice. There are, in fact, several letters that will be mailed to your address on record prior to a levy actually occurring. If you are reading these letters, the one prior to levies being issued clearly tells you that levies will be issued if you do not make other arrangements. True Resolve is on your side. When you are facing a tax levy, it is imperative to have experts that represent your interests and assure you of your rights. True Resolve has a long history of working directly with the IRS on behalf of clients like you. 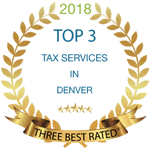 Our Denver-based team of Enrolled Agents is your best asset for understanding and resolving your tax levy.